How is VMware based on UNIX? UNIX became the basis for Apple's MacOS X, Linux, VMware, and Google Android. What? ... It surprised me because this sentence tells me that VMware (a virtualization tool) is based on UNIX (an operating system). Could someone help me understand how we can say VMware is based on UNIX? VMware's ESXi is apparently based on the linux kernel. There is a lawsuit about this because the linux kernel is under GPL v2. 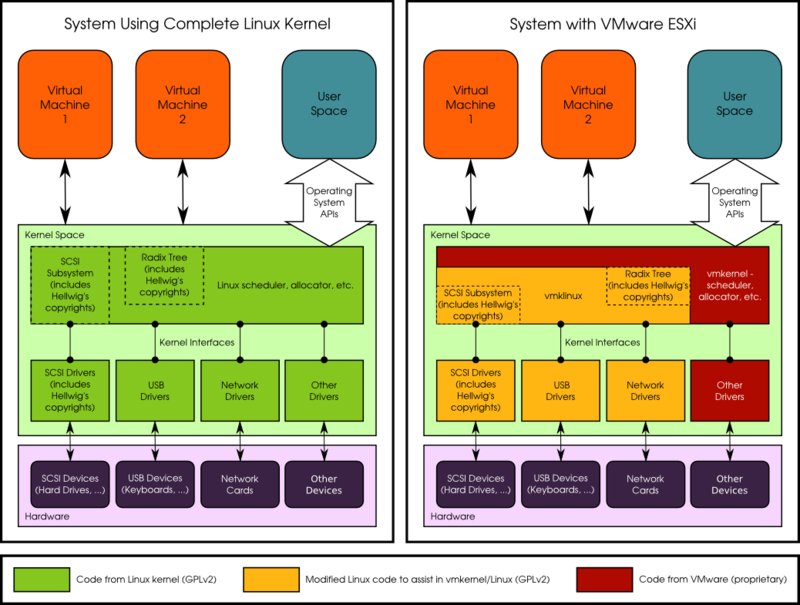 Here is a comparison between a system using a complete linux kernel and a system with VMware ESXi. Not the answer you're looking for? Browse other questions tagged vmware or ask your own question. How can I install Openfiler on Vmware ESX 4.1? Vmware Xorg error compiling keymap? How to restrict a VMWare linux from distribution? How to fix vmware header error?